I would like to share with you some recent research I came across in the Alpine Press which uncovered the development of biological weapons by the Nazis during the second world war. The research was carried out by Dr. Klaus Reinhardt of the Institute for Evolution and Ecology at the University of Tübingen and published in the scientific magazine Endeavour. The research concluded that during the second World War German scientists working for the Nazis investigated the use of malaria infected mosquitoes as an offensive weapon to attack Allied military units. In 1944 the SS ordered the Entomological Institute in Dachau to carry out tests on the ‘suitability’ of various kinds of mosquito vectors for this purpose. The Entomological Institute was created in 1942 at Dachau under instruction from Heinrich Himmler who was in charge of the SS and held the role of senior Police Chief in Nazi Germany. It was part of the Research Society known as the Deutsches Ahnenerbe – an organisation set up to research the archaeological and cultural history of Hitler’s hypothesized Aryan super race. This was a rather unusual location for research focused on insect borne disease. It did however ensure the work was carried out under the authority and tight control of the SS. The location at Dachau also put it into very close proximity to Nazi Germany’s notorious first concentration camp. Himmler himself had a phobia of mosquitoes although this didn’t dampen his enthusiasm for using them in research. The research into insect born diseases was a high priority for him because they had become a major problem for the German troops and the elite guards of the SS. In particular typhus carried by body lice was a major problem among both troops on the front-line and the SS guards and inmates based in concentration camps. His concern for the inmate population reflected the fact that increased disease and death rates were preventing the Nazis delivering the agreed quotas of slave labour needed to sustain the industries supporting the German war machine. These were already important issues for Himmler in 1942 when he founded the Dachau entomological institute. In addition to many other atrocities committed by the Nazis in Dachau their scientists where found to have performed experiments on inmates using Malaria. Selected prisoners were deliberately infected with the disease as part of the SS controlled research programme at the site. Dr. Reinhardt investigated the research notes of the leader of the Entomological Institute, Eduard May to try and uncover clues about any covert activities. He discovered that the research was not simply concerned with the protection of the German military forces and their slave labour machine but had a much more sinister offensive objective. The SS was developing techniques for the airborne spread of malaria through the release of infected mosquitoes over allied troop positions. Dr. Reinhardt was initially suspicious because this entomological institute had been set up under the sole authority and control of the SS. At that time there were several well reputed entomological institutes in Germany which would have been fully capable of carrying out research programmes focused on protecting people infected by insects. Why therefore was a new, independent and highly secretive, organisation set up at Dachau? In addition he questioned why research carried out by this new institute did not address other very serious insect borne problems like those in agriculture or associated with the storage of food products. These were probably more material issues for the war effort in 1942. 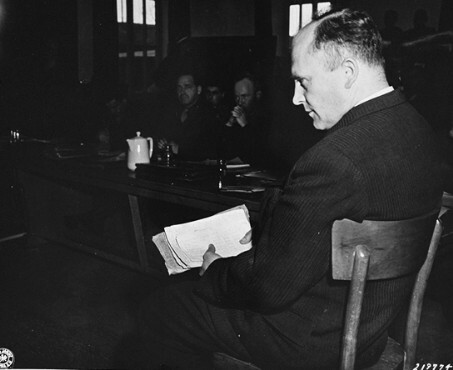 The fact that, at Dachau, Professor Klaus Schilling had a research programme involving infecting selected concentration camp inmates with malaria was probably a key factor in determining the location and true purpose for this new SS controlled entomological institute. Reinhardt’s research made it clear that Dr May, as the leader of the new research institute, was not particularly well regarded among his scientific peers. He was certainly not successful as an experimental research biologist and had tended to focus his efforts more in the area of philosophy. He had, for example, criticised Einstein’s theory of relativity which because of the Einstein’s Jewish origins went down particularly well with the SS hierarchy. In addition May had written a number of other articles with anti-Semitic undertones. This may have influenced his selection for this key SS research position. 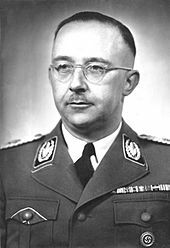 Himmler’s ‘formal’ instructions when setting up the institute was that it should focus on basic research to combat disease including investigating the life cycles, diseases, enemies and host preferences of beetles, lice and flees. It is believed that any overt intention to carry out research to support offensive biological warfare may have led to issues with Hitler who had declared himself against the use of biological weapons. However in May’s research papers on the Anopheles mosquito (a malaria carrier during part of its life cycle) more sinister offensive motives for the institute became apparent. For example, he researched how long these blood sucking mosquitoes could survive without feeding when transported from a breeding station to a release location. In particular Reinhardt noted that May recommended that a particular type of mosquito was most suited for survival during such a transportation process. This conclusion would only make sense if he was investigation the application of the insect for biological warfare. It wouldn’t make sense to do this work if May were simply trying to investigate defensive mechanisms to help the Germans avoid or mitigate the effects of infection. Clearly Reinhard’s research indicates that the SS under Himmler were indeed developing offensive biological warfare techniques although whether this was with the full knowledge of Hitler was unclear from this piece of work. For German readers you can find more information on this subject from the University of Tübingen by using the link here. Thanks for you interest and please visit www.chrisduggleby.com again. You can find further articles in the Alpine Press Section of this site. Just click on the link here for the contents page. Now prepare for an uplifting experience!